“Mexican Officials Kick On Women in Knickers, Do not allow Oklahoma Tourists to Enter Mexico in Plus Fours” El Universal (“English News Section”), Mexico City, 14 July 1924. A. Why did Mexico City’s most important newspaper feature two daily pages in English? The foreign business and diplomatic community in Mexico City in the 1920s was not large enough to support a newspaper of its own. Even if every English-speaking household in the city had subscribed to El Universal, they would not have raised its circulation figures appreciably. Furthermore, most people living in Mexico City at the time did not read English. Including the English-language section could not have brought new readers to the paper, then. The supplement was expensive to produce, both because it required hiring journalists, translators, and an editor fluent in English—as few newspapermen of the time in Mexico City were—and because the single largest fixed expense for a newspaper in Mexico at the time was the cost of paper. Adding even a single sheet daily to El Universal was a big investment. No other Mexico City newspaper paid for a section in English, but El Universal stuck with it for four decades. So why would El Universal’s editors have decided to print a section of the paper in English every day? The advertisements in El Universal provide one possible answer to this question. They peddled high-end goods—often, imported items ranging from tennis balls to automobiles. They did not aim to reach many readers, but focused on a small number of wealthy ones. This would include Mexico City’s community of English-speaking resident foreigners, but also included the larger number of relatively conservative, wealthy Mexicans who would see the inclusion of an English-language section as a sign of the newspaper’s politics. In the aftermath of the Mexican Revolution (during which the United States invaded Mexico and Pancho Villa’s army invaded the United States), this gesture of affiliation with the United States and its representatives in Mexico suggested that El Universal did not entirely agree with the new, post-Revolutionary government’s nationalist policies. This, in turn, would have hinted at a broader conservatism that wealthier Mexicans, presumably, would have appreciated. Advertisers in El Universal, therefore, found the presence of the English-language section a reassuring sign that they could reach a group of rich, powerful consumers. All this, in turn, means that the English-language section of the paper was not primarily intended as a news source, but more as a way for the paper to sell itself to readers and advertisers who would expect to find serious news in the paper’s main sections in Spanish. B. Was this story important at the time? No other Mexico City newspaper covered this story; nor did it appear in the Spanish-language part of El Universal. 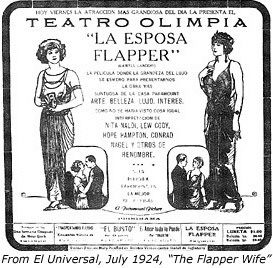 This suggests that newspaper editors thought the story unimportant, that it appeared in the English-language supplement of El Universal only as entertaining “filler.” Just because this was a very minor piece of news in 1924, however, does not mean that the article lacks value as a historical source in the present day. Sometimes, placed in their proper context, short newspaper articles can serve as windows opening onto much larger historical vistas. The challenge is in deciding what the proper historical context might be. C. How was this story related to other articles printed in the newspaper at roughly the same time? The story of Mexican officials refusing entry to a group of women from the United States was not typical of El Universal’s articles—neither those in the regular Spanish-language pages nor in the English-language supplement—in most respects. The paper did not ordinarily cover events at the border. Even if it did, the crossing between Matamorros and Brownsville was not an especially busy one and rarely warranted press attention. It was highly unusual for an article—even a short one—to report the deeds of consular officials so far from the capital. Similarly, tourism rarely received media attention in 1920s Mexico. The article, however, does fit neatly into a series of stories and images that seemed to fill the paper in the summer of 1924. There was a sudden rise of attention to women’s fashion, particularly those fashions that came from abroad and seemed to make women look masculine. The major issue of the time was the length of women’s hair, but other aspects of women’s appearance also caused controversy. People around the world took an interest in this new vogue, but in Mexico it seemed especially important because of the recent Revolution. Women taking up masculine-seeming fashions symbolized larger change in women’s social roles and the opportunities available to women, which in turn was part of an even broader upheaval in social relationships caused by the Mexican Revolution. One of the reasons that this story from the border would catch a historian’s eye, then, is that it shows a representative of Mexico’s federal government opposing—rather than supporting—the new, “revolutionary” way in which some women were presenting themselves. D. What was left out of the story? How can I find out more? This newspaper article is so brief that it raises more questions than it answers. Historians might want to work on three such questions when analyzing this story. First, what was going on in Brownsville and Matamorros at the time? Second, who was that consular official? Third, who were those women from Oklahoma who wanted to cross into Mexico? Looking in El Universal from the previous month begins to answer the first question. President Calles had visited the region and given a major speech that brought up, among other things, the issue of women’s roles in reconstructing Mexico after the Revolution. But once again this raises further questions. How did people in the area—on both sides of the border—respond to this speech? Did they even pay attention to it? What else was going on there? A more complete answer to the first question would require checking periodicals other than El Universal, especially newspapers from Brownsville and Matamorros. Researching the other two questions also requires moving beyond the pages of El Universal, and eventually beyond research in periodicals, although it seems likely that local newspapers would tell more of the story than the newspaper from the faraway capital of Mexico. To get a sense of the area at the time, tourist guidebooks and contemporaneous maps are a fine starting point. If the incident recorded in El Universal’s article became notorious in the place where it happened, it might have been remembered by local people in memoirs or oral histories. A visit to the historical societies and municipal archives of Brownsville and Matamorros would probably be productive. Documents of the federal government—especially consular records from both sides of the border—would also be a good place to search, both to tell more of the story and to find out a bit more about this particular Mexican Consul in Brownsville. Finally, to find out more about the women who tried to get into Mexico while wearing pants will require making a guess about who they were, based on further evidence from local newspapers and from consular records. Perhaps they were trying to cross the border in breeches as a political gesture. If so, they may have represented an organization of some kind, perhaps a women’s club. The records of that group would be in an Oklahoma archive. Or, as the conclusion of the article in El Universal seems to hint, they may have been prostitutes coming to work at one of the legal brothels (delicately referred to as “nightclubs”) on the Mexican side of the border. These bordellos were regularly inspected, and prostitutes had to carry special licenses. Thus, they too produced many official documents in which these women might perhaps be found. 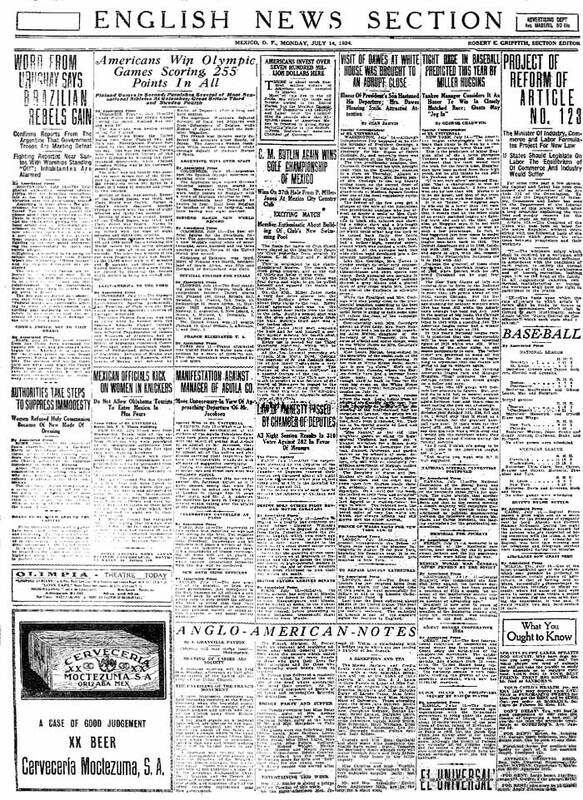 This case study shows two aspects of using newspapers as primary sources—the limits of what can be learned from a single newspaper story, and the infinite possibilities of looking at the newspaper as a whole. The limits on what a single article can tell historians are clear. In order to understand what the article might mean—or even to see that it might be interesting in some way—historians have to begin by knowing something about the newspaper in which the article appeared. In order to analyze it, they have to look at related articles in the same newspaper, look at different periodicals, and then move on to other kinds of documents. For this case study, useful documents included several kinds of government records, old maps, and memoirs. Newspapers often give historians a good place to begin their work, but are very rarely sufficient, on their own, for serious historical study. Doing research in newspapers is full of possibilities. 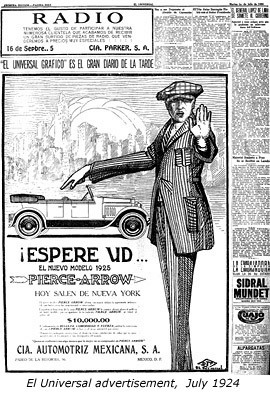 In this case, by taking in a wide range of different periodicals and by looking not only at the news stories, but also advertisements, illustrations, movie reviews and other features, historians could spot a pattern: Mexicans in the mid-1920s seemed to be concerned with the issue of women who looked masculine. A single article might not tell a historian very much in itself, but locating many such items is one of the best ways to spot a broad cultural or social transformation. In the end, like any primary source for historical research, newspapers offer us imperfect, but exciting, glimpses of the past.